We would like to explore how we can better host parents and children at Impact Hub Birmingham and have devised three strands that we plan to pilot throughout March and early April 2016. 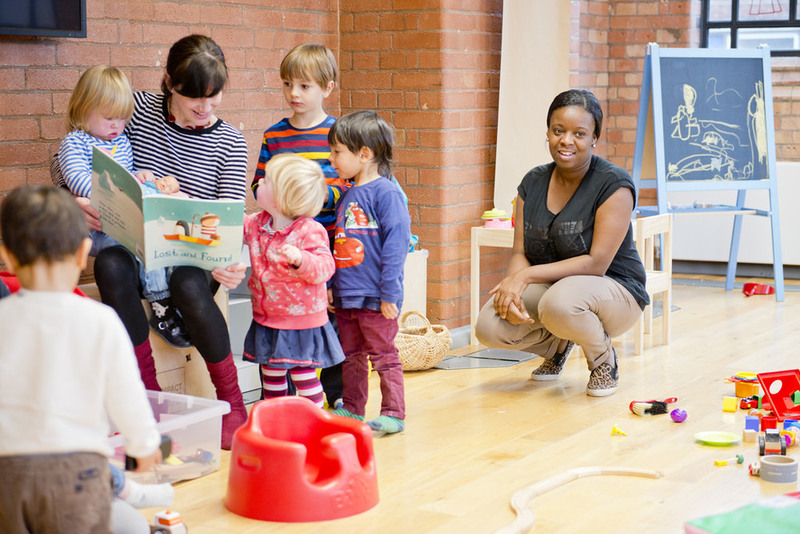 The idea is simple – professional childminders and experienced playworkers care for your child with learning resources, toys, musical instruments, play kitchens etc. whilst you work downstairs at Impact Hub Birmingham, with high-speed broadband and a place to work, read, meet and drink good coffee. This has been great for parents who want to gently stretch the distance between them and their babies, breastfeeding moms and those that want 3 hours of time to network, hold meetings and get some work done. Places are strictly limited. Book your place via Eventbrite. This is a pop up co-working and creche facility at Impact Hub Birmingham for children aged 4 months + and their parent(s)/carers. It is a condition of Ofsted that parents/carers stay on site at all times and this creche opportunity combines a co-working/meeting space at Impact Hub including broadband. Childcare will be provided by qualified childcare professionals and play workers all with enhanced DBS clearance and with experience in the care of children and babies. BOOKING IS ESSENTIAL. Snacks, toys and juice/water provided. #RadicalChildcare is an initiative to explore, imagine and invest in bold new possibilities for the future of childcare.